3 Bedroom Terraced House For Sale in London for Asking Price £1,050,000. A beautifully presented three bedroom Victorian home with scope to further extend (STPP) boasting many original features yet having been extensively modernised throughout by the current owners. The beautifully balanced and flexible accommodation comprises on the natural lower ground floor: cloakroom, wonderful sitting/dining room opening into a stunning kitchen/breakfast room with beautiful solid walnut floors and large doors leading to the landscaped rear garden. Upstairs, there are three good size bedrooms with a modern en suite shower room to the master bedroom and a beautifully appointed, spacious bathroom. To the rear, there is an impressive landscaped garden complete with outdoor storage. 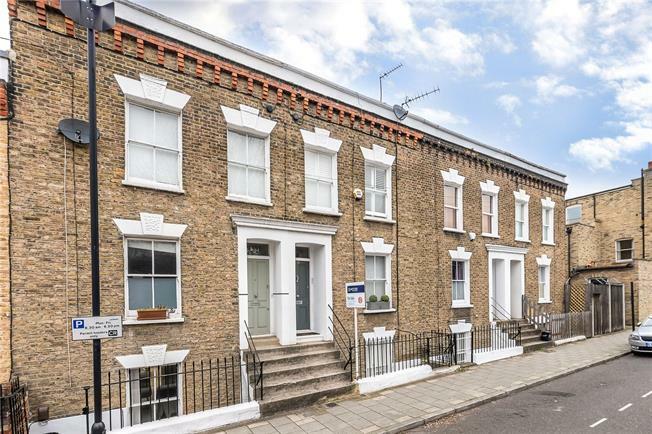 Heath Road is conveniently located close to Clapham Old Town's shops, bars, restaurants and Clapham Common tube (Northern line) in the same residents’ parking zone. Equidistant is Battersea Park and the exciting Battersea Power Station/Nine Elms development, with a new Zone 1 tube station due for completion in 2019. Current transport links include Queenstown Road (Waterloo), Battersea Park (Victoria), Wandsworth Road (Overground) and numerous local bus routes into central London including 137, 345, 452 and 87.